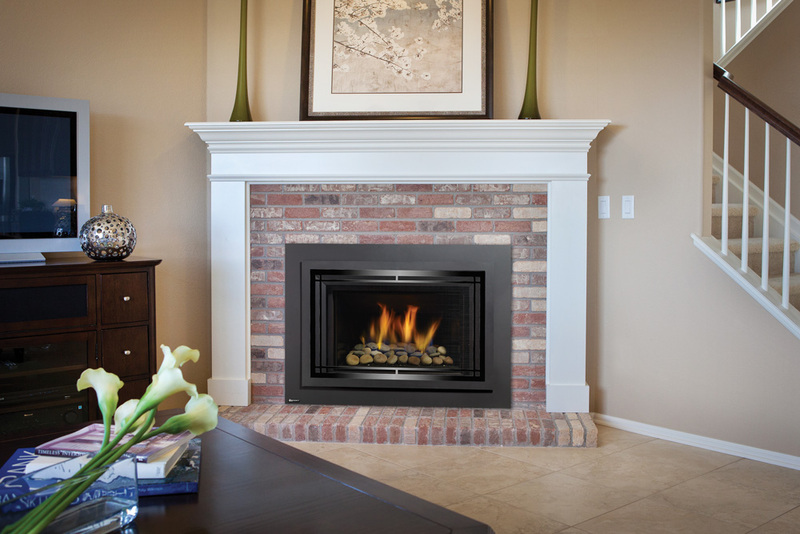 Important details to consider when installing a fireplace or stove. This blog in some ways may be a bit of a follow-up to my cash and carry a blog that discussed if utilizing our discounted cash and carry program was right for you as a fireplace client. My aim is to further chat about what a turnkey fireplace installation can look like, and specifically what steps we’ve been taking lately to both protect our clients and provide them with stunning value. One of the issues that have been coming up for our clients lately has been how we can protect them as consumers and homeowners in the case of a venting or chimney installation through a brand new roof – how does this affect their warranty? Particularly with lifetime steel roofing systems, this can be contentious, as we’re getting feedback from clients that metal roofing systems can be $15,000+. What we’ve been doing to protect our clients as consumers has been to reach out to manufacturers of some of the metal roofing products we’ve had to flash and seal around to get tips from them or figure out if the original installer wants to come and do the flashing and sealing (and generally, they do). How this protects you as our client is although it takes us extra effort and time, it protects you from warranty issues on your roof down the road. In the case of a gas fireplace insert, where a gas insert is being put into a brick fireplace cavity, often times an unsightly cord to power the ignition system of the fireplace insert and/or fan would then be plugged into extension cords, power bars, etc. What we’ve been doing is working with a licensed electrical contractor and telling them what the power system on our gas inserts looks like, giving them the opportunity to go in ahead of time and figure out a way for the fan cord to be hidden. This gives you a more “finished” and intentional look to the fireplace installation. How this protects you as a client is that the electrical work for your insert is done safely and properly by a licensed electrician, and keeps up the finish look and feel of your fireplace renovation. Working as a team with general contractors in large renovations or new home builds can be incredibly important and make the client, the contractor and us as the fireplace supplier feel at ease about the fireplace installation. In most cases, the general contractor is able to give us advice (where gas piping is, how the driveway is coming in to the job site, what ladders to bring, etc) as well as refer us to the roofing contractor if we’re doing a chimney system or even an electrical contractor that is on the same job (fireplace ignition systems, fan, etc). Keeping everyone in the loop can be extremely labour intensive, but because we do so many turnkey fireplace makeovers and finishes, we’re used to it, and may already have relationships with sub-trades on different builds or renovations. As with everything, this boils down to our experience as salespeople who manage dozens of fireplace installations every year. You as our client can feel confident that everyone involved in your renovation is in the loop and we’re doing our professional best to give everyone the courtesy of our communication and attention. Stop by the showroom sometime and chat with us about a renovation or a build you have in mind and how you can use our diligence and expertise to your advantage to create a warm, beautiful focal point in your home – without headaches!